OWH Sketch #141 – Santa! This is one of my first Christmas cards for Operation Write Home. We need to ship our Christmas cards early in order for our overseas heroes to send cards home for their families. 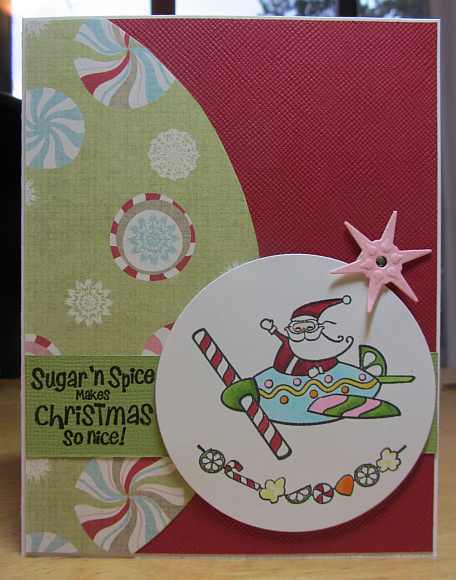 This is a fun one with lots of color and Santa, so I’m hoping it is cheery for both the sender and the recipient! I used the sketch #141 at OWH Stars and Stamps and stamps from The Cats Pajamas. I colored the images with Copic markers. Thanks for stopping by! 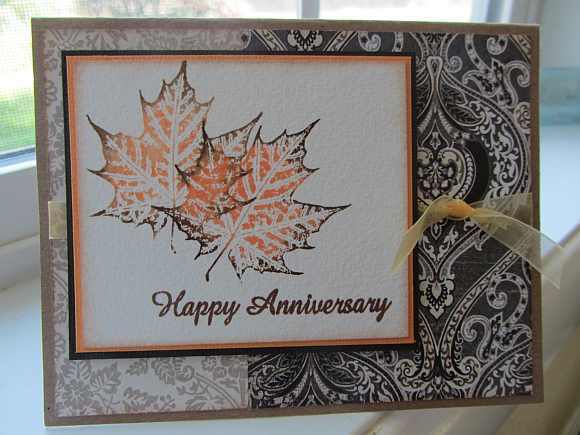 I used Ranger Distress Inks on the maple leaf image and then stamped it twice, overlapping it. I lightly spritzed the image with water for the watercolor effect and used watercolor paper so the damp image would hold up well and dry flat. I really like to use this technique on leaf images. We were challenged to make anniversary cards for our heroes to send home at the OWH Stars and Stamps Midweek Throwdown this week. I added the autumnal touch, since we are also trying to get some Fall cards made as well. Thanks for visiting. 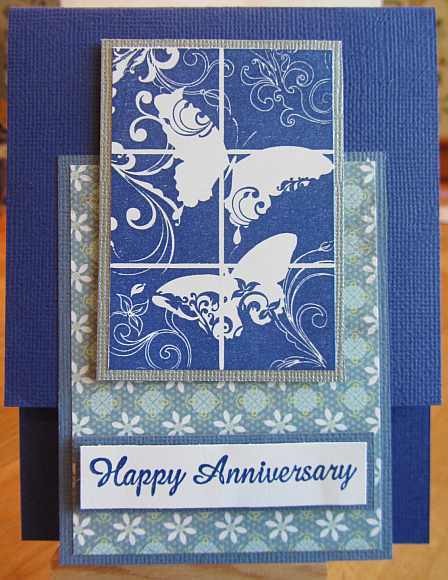 I made this card for the Operation Write Home Midweek Throwdown Challenge for anniversary cards. I used an OWH bonus sketch from the My Country/Mit Land Blog Hop we just had this past weekend. This particular sketch is featured on OWH President Sandy Allnock’s “I Can’t Stop Embellishing” blog. The sketch is a little bit different when it comes to its construction, so I had to study it for a while before I built it! And I just had to use MORE butterflies, since I’m kind of on a roll with butterflies these days! Thanks for stopping by today!